If you've ever tried the "Suicide Wings" at that local pub down the street, then you know perfectly well why no one likes a fiery hot backside. 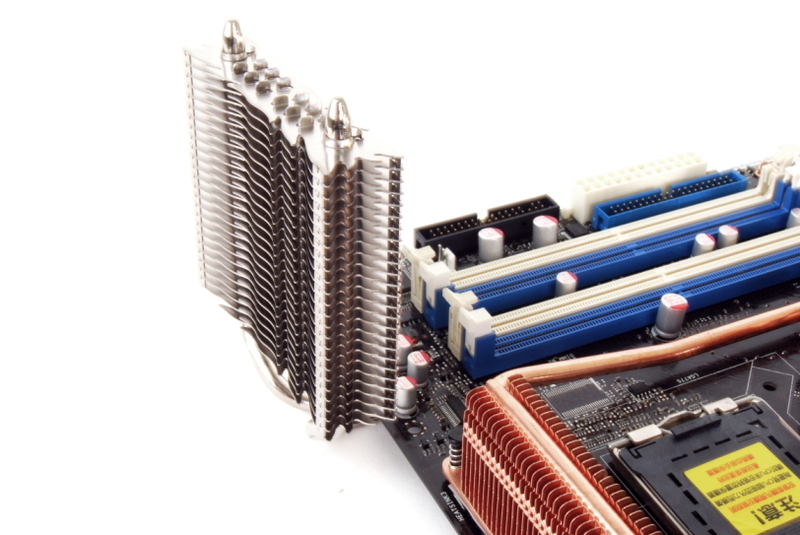 This Thermalright IFX-10 Motherboard Backside Cooler utilizes two heatpipes and proprietary-through holes from the Thermalright High Riser series to additionally cool the CPU from the back of the motherboard. Compatible with just about any current Thermalright CPU Cooler, the IFX-10 comes complete with a multi-platform back plate for use across (you guess it) multiple platforms. This Backside Cooler also offers up a dual heatpipe heatsink which will not only cools your CPU, but also take care of any unwanted heat coming from the back of your motherboard. This incredible feature can actually extend the life expectancy and stability of your motherboard. Important: Before you install the IFX-10 backside cooler, please make sure to have at least 70mm of space for the cooler to extend beyond the motherboard.